Here is our new, improved full round up of events happening at 2016 Vegetarian Festival in Khao Lak. The schedule is for the Bun Tao Gong Temple which is not only the largest Chinese Temple in the area but also it’s own unique, interesting history. The Temple was first established by Chinese migrants fleeing the rise of Communism in their homeland. These particular migrants, mostly fishermen and their families all hailed from one particular island in China, Hai Nan. They chose to settle the coastal areas around Khao Lak in order to continue their ancestral tradition, living off what they could catch from the sea. The former islanders had their own unique deity, he was the God of the the fisherman and he was called Bun Tao Gong. 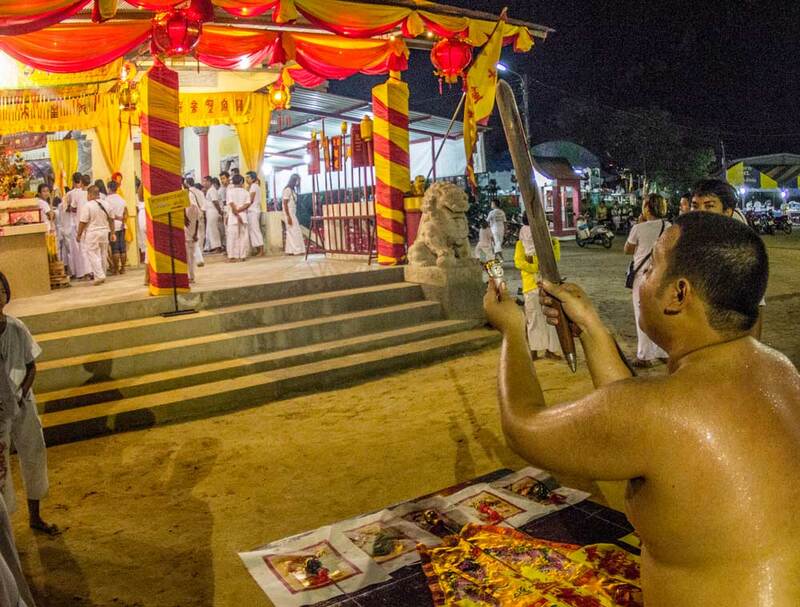 The local worship of Bun Tao Gong adds subtle differences to the festival in Khao Lak when compared with the larger scale celebrations in Phuket whose devotees are mainly of Hokian descent and worship more traditional mainland Chinese Gods. More background information on the history of the festival and the various ceremonies is available here. The Temple is located in Khuk Khak on Soi San Jao (Khuk Khak Beach Road). This is the main focus of temple activities for the Khao Lak community. Make sure you either arrange to be picked up, or ask the driver to wait, as it may be hard to find a taxi home. Entrance to the Temple is free but it is suggested to leave a donation to help them with renovations. 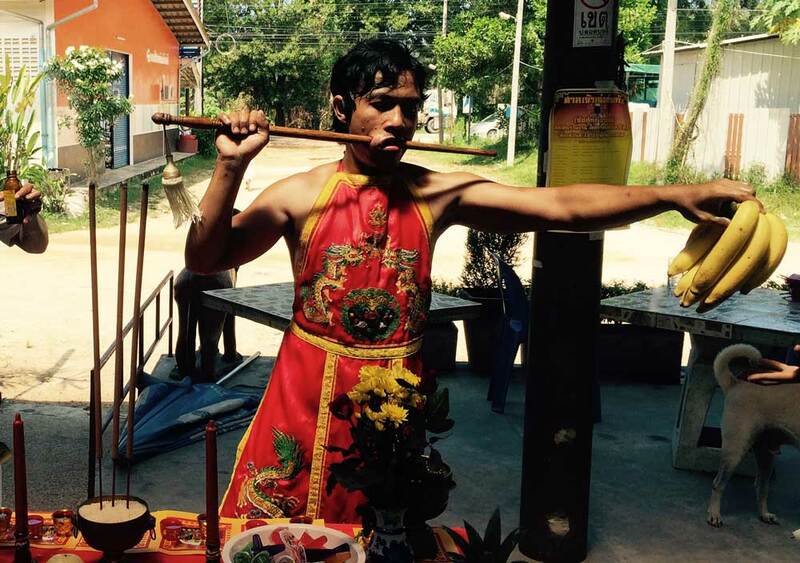 If you can not make it to Khuk Khak then similar proceedings also happen at the Chinese Temple in Bang Niang and the Chinese Shrine in the Nang Thong Beach area. The raising of the lantern pole marks the start of the nine day Vegetarian Festival. 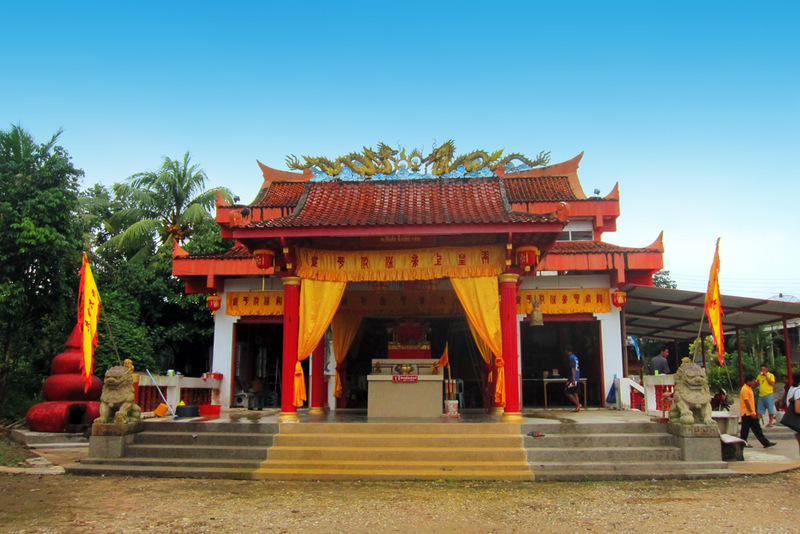 This event happens at all Chinese temples in the Khao Lak area between 3:00 and 5:00pm. The pole itself can be either a tree trunk or bamboo. At the top of the pole, nine lanterns are hung from a piece of bamboo. The nine lanterns, which represent the nine Gods who reside over all the angels, must remain lit during the entire Vegetarian Festival. The pole is the spirit pole down which the Gods can descend into the temple. 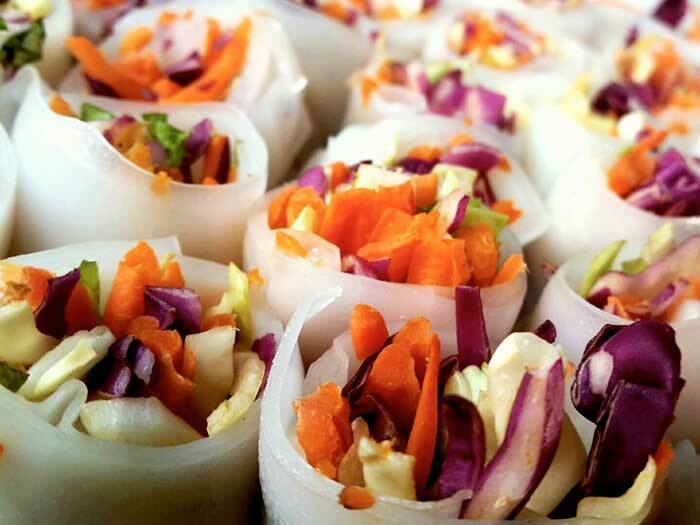 This is the most auspicious part of the Vegetarian Festival and not to be missed. Take a look at our video from the 2015 vegetarian festival to get an idea of the events on show. Procession of the Mahsong from Tung Waa School to Bun Tao Gong Temple. The Mah Song are the devotees who invite the god’s to possess their bodies. Mah means horse in Thai, Song refers to the use of the devotees body’s by the gods. The gods use the bodies as they can not touch the ground and as a vessel from which to act. Worship of the Gods at Bun Tao Gong to announce the beginning of the festival. At this ceremony, which occurs during the transition between night and day, the head God and their assistant will descend down the lantern pole. There could be hundreds of gods and angels at any particular festival. The number depends on the number of available Mah Song. If the Mah Song are ‘clean’ and on the same resonance as the gods and angels they will get possessed. Devotees will offer prayer and worship to all the gods that have descended to Bun Tao Gong Temple. This ceremonial ritual takes place after dark (approx. 21:00). Devotees will pray to all the Chinese statues inside the temple according to their general beliefs. In the morning of the 14th October, the Mah Song will visit the villages heading north from Baan Bang Muang towards Takua Pa, including Tung Noy, Pru Dtiaw and Yaan Yaaw. Worship of the Gods at Bun Tao Gong Temple. This ceremonial ritual takes place after dark (approx. 21:00). In the morning of the 15th October, the Mah Song will visit Laem Kaen Market, Baan Tap Lamu and Bang La On (South Khao Lak). Offerings of food to the ‘Tahaan Pra’ (God’s Army) at Bun Tao Gong Temple. Food and other offerings will be put out in front of the Temple around the flags where the Gods convene during the festival. God’s army refers to the ghosts and angels of illustrious dead Chinese generals and soldiers. This ceremonial ritual takes place between 16:00 – 17:00. Worship of Lam Dtao and Bpak Tao at Bun Tao Gong Temple. These two Gods are the record keepers of human life. Lam Dtao records all births and Bpak Dtao records all deaths. This ritual takes place between 22:00 and 23:00. Please note, no timings during the entire festival are reliable. Ceremonies and rituals can only start once the Mah Song are possessed, the timing of which is in the hands of the gods. 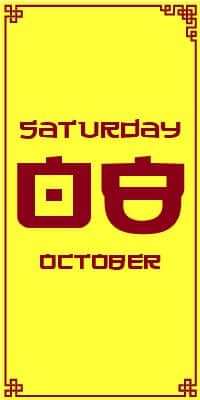 In the morning of the 16th October, the Mah Song will visit Baan Bang Niang heading north towards Build Factory. 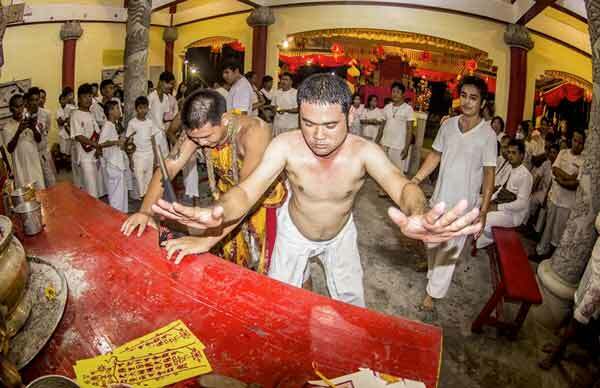 Exorcism Ritual Over the Bridge at Bun Tao Gong Temple. This ritual begins with prayer in the Temple at around 22:00. It begins by writing your name on a piece of paper. 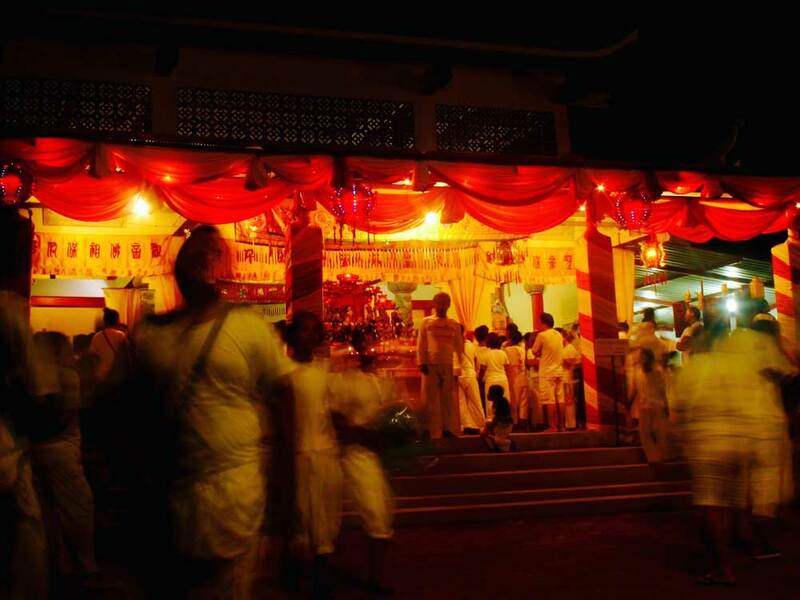 Devotees will then walk over a small bridge which is lined by the Mah Song, gods and angels on both sides. After devotees have crossed the bridge they toss a coin into a large bowl of water. This is considered donating to oneself. The paper with their name on and a flower are then thrown into a fire. Lastly, rice is thrown over devotees and bad spirits are said to leave their bodies. 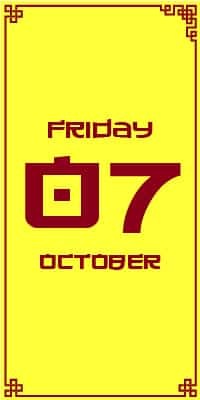 On the morning of the 17th October, the Mah Song will visit Khuk Khak Temple and school and the fresh market opposite the bus station. A Chinese God ‘Pra Chin’ will possess the body of one individual Mah Song who will then proceed to flick hot water over his own body, the bodies of the other Mah Song and devotees using palm leaves, which represents more soul cleansing and chasing away of bad spirits. This ceremonial ritual takes place around 21:00. 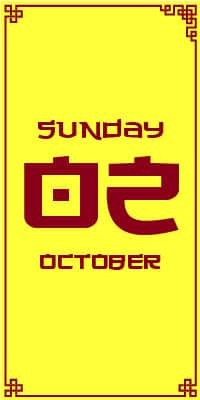 On the morning of the 18th October, the Mah Song will visit houses on Khuk Khak Beach Road (Soi San Jao) and around Bun Tao Gong Temple heading down towards the beach area. There are many Mah Song processions but today’s is probably the best. Khuk Khak Beach Road is closest to the Temple and has a large Thai-Chinese population. If you only get to witness one procession, make it this one. 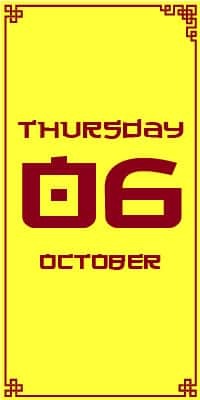 This ceremonial ritual takes place around 17:00. 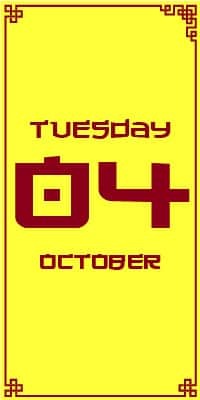 See DAY FOUR on 4th October. 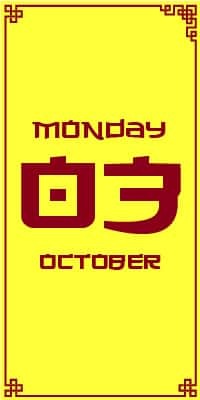 On the morning of the 19th October, the Mah Song will visit Pak Weep and Baan Bang Ka Ya (Tsunami Village). Food stalls line the Khuk Khak Beach Road (Soi San Jao), from near the Soi’s entrance down to the Community Hall and offer free vegetarian food. 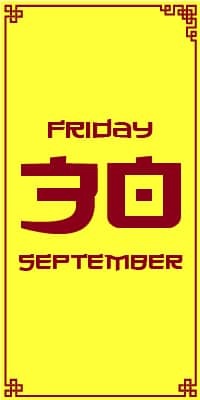 This event officially begins at 17:00 but we seriously recommend you arrive as early as 16:00 as the event may begin a little earlier and all the food will be gone within minutes. 2016 is expected to be a big event with many of the area’s hotel accepting invitations to participate. 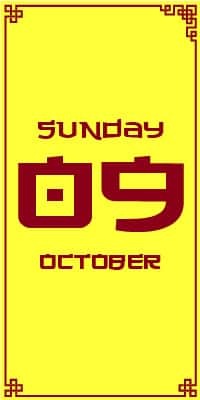 There could be over 100 stalls though this by no way means the food will last longer! Running in conjunction with this, Offerings of food to the ‘Tahaan Pra’ at Bun Tao Gong Temple. Ceremony to Worship the Chinese Birth Stars at Bun Tao Gong Temple. 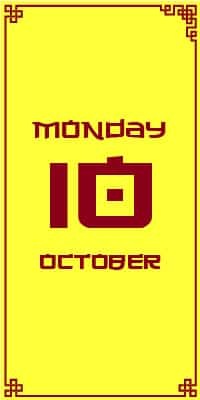 There will be a line with eight stars representing each day of the week. Eight because Thai Buddhism splits Wednesday into morning and afternoon. Buddhists will make an offering of a flower and other small gifts to their birth star. 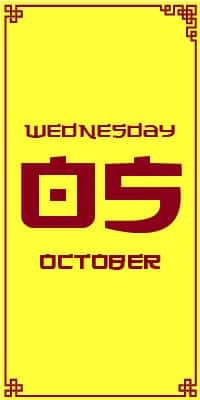 All Buddhists will know what day of the week they were born. 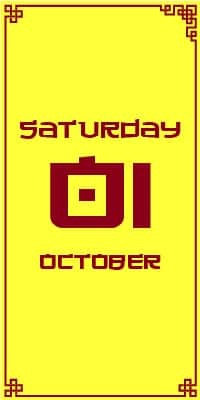 If you would like to make an offering you will also need to know the day of your birth which you can find here. This ceremonial ritual takes place roughly between 21:00 – 23:00. 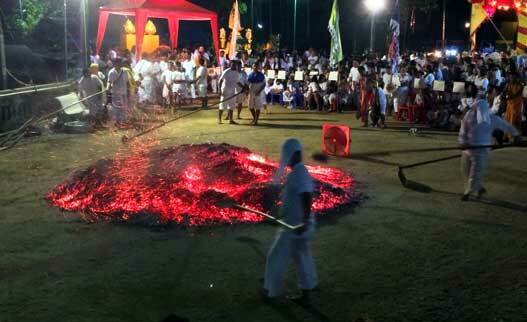 After dark there is the biggest, longest and most authentic fire walking ceremony in the Province. Embers from burning an entire tree make this by far the longest fire walk in the area. Other places sometimes cool down the embers by throwing various substances like rice over the top. Bun Tao Gong is completely genuine. Extremely hot embers are used because devotees believe the Mah Song are not injured as they are possessed by the Gods. Other vegetarian Buddhists are allowed to take part with the aid of the Mah Song. The huge fire is lit during the day attended to by devotees of the temple. Great care is taken so that not a single piece of wood or ember escapes from the fire. 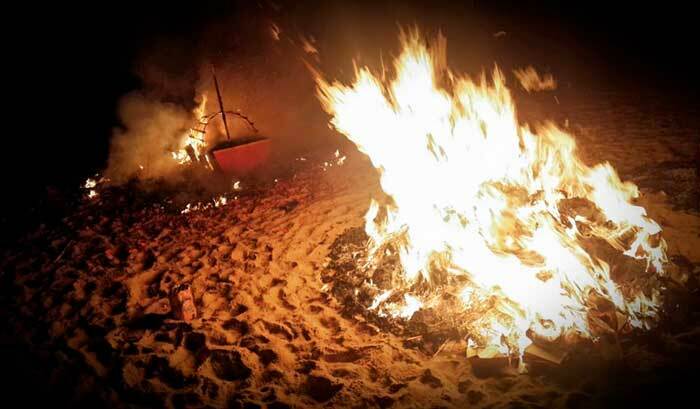 In the evening the red hot embers are raked into piles to keep their heat and eventually flattened into a square form about 40cm deep and 6m long. This ritual begins around 21:00 with the invitation to the gods to possess the Mah Song. The atmosphere at the temple builds with intensity to the steady beat of drums, the heat of the fire and the shaking and chanting of the possessed Mah Song. 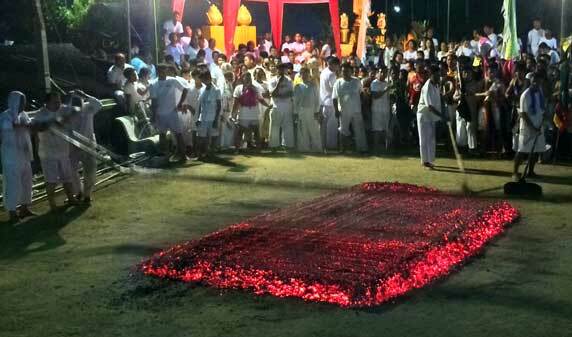 The build up to the actual fire walking can last one to two hours. 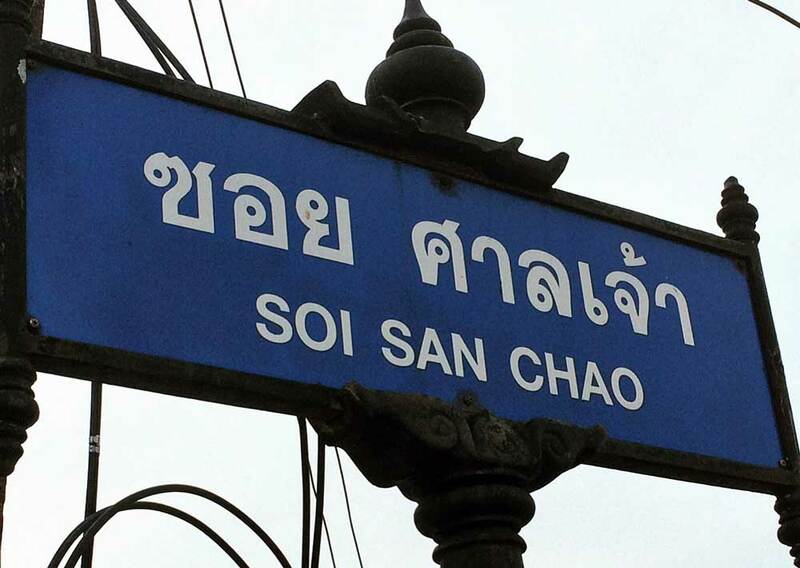 Between 12:00 – 14:00 there is a ceremony where the God’s Statue is carried over the bridge near the Khuk Khak Community Hall on Khuk Khak Beach Road (Soi 3). This is when the head God’s assistant ascends back to heaven. Offerings of food to the ‘Tahaan Pra’ (God’s Army) at Bun Tao Gong Temple takes place in the afternoon. This ritual begins with prayer in the Temple. Then devotees cross a small bridge and throw a one Baht coin into a pool. 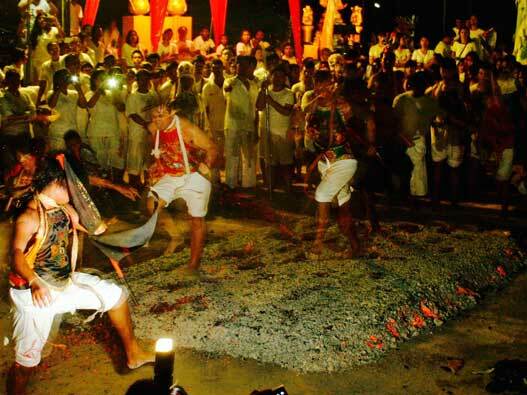 Lastly, rice is thrown over devotees and bad spirits are said to leave their bodies. Ritual of Releasing the Bad Spirits at the Community Hall Bridge on Khuk Khak Beach Road (Soi 3) at approximately 21:00. 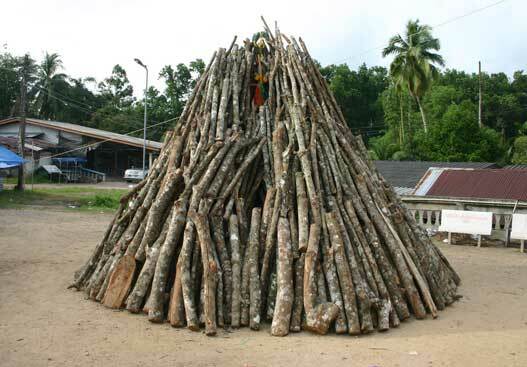 Banana leaves or similar combustibles are burnt to symbolise the burning of bad spirits, similar to the end of an exorcism. Later, all remaining firecrackers will be set off. Khuk Khak Beach Road will be busy and loud late into the night. A long procession of devotees and Mah Song will slowly wind their way down to Khuk Khak Beach. At the beach a model ship is burnt. This ship symbolises the ship that will take the nine gods back to heaven. Effigies of the ship’s captains and boat crews will also be burnt. Between 13:00 – 17:00 there will be the Final Worshipping Ceremony at the Bun Tao Gong Temple. 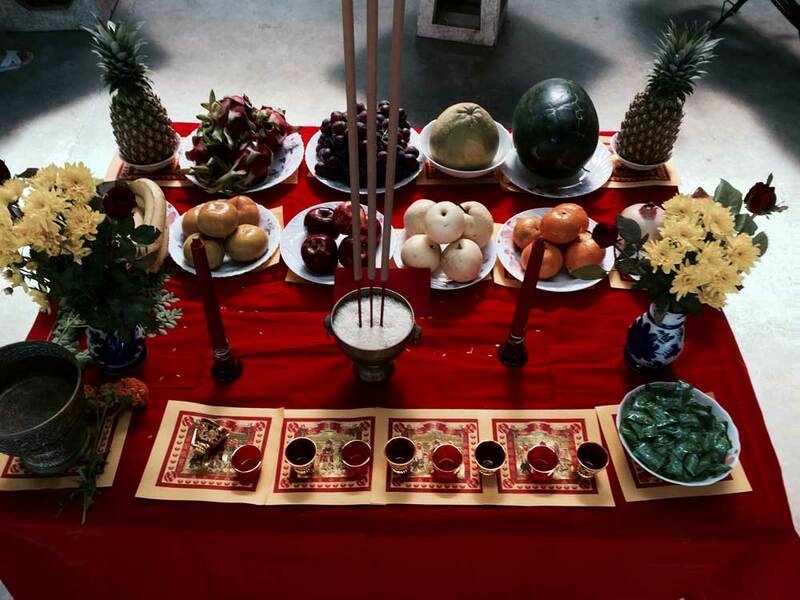 The Lantern Pole will be lowered bringing a close to the Vegetarian Festival for 2015. Muay Thai fight of the year! Reach a wider audience with 813 calendar events. It's super easy to submit a listing and what's more... it's 100% free (and always will be). Khao Lak besitzt eine lebendige Szene deutschsprachiger Auswanderer und Geschaefte. Deutschsprachige Veranstaltungen sind weit verbreitet und werden daher auch hier angekuendigt.